This powerful book from debut author Tracy Buchanan is a compelling and engaging story about mothers and daughters, lovers and secrets, and relationships that change everything. It’s about being true to yourself, following your heart, facing up to your mistakes and moving on. When Louise Fenton flies to Thailand to find her mother, Nora, after the Boxing Day tsunami, she fears the worst when the only trace she can find is her mother’s distinctive bag. In the bag is a beautifully crafted atlas owned by travel journalist Claire Shreve, with her notes and mementos slipped in-between the pages. The journal tells the story of Claire’s struggle to find her place in the world following a life-altering revelation, and a tumultuous love affair. 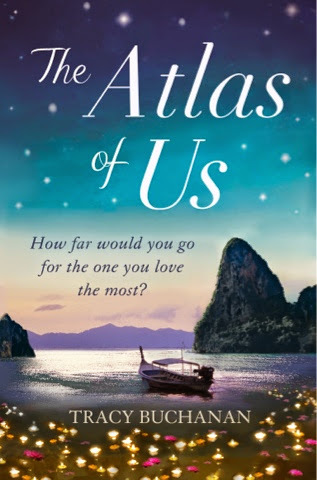 Louise treks across Thailand's scarred landscape, exploring Claire’s atlas to try to make sense of the connection between this woman and the mother she is so desperate to find.